Aam Aadmi Party state president Bhagwant Mann may have written off Sukhpal Singh Khaira’s departure from the party as good riddance but, it seems, he failed to gauge the support that the Punjab Ekta Party (PEP) founder enjoys from within the AAP. 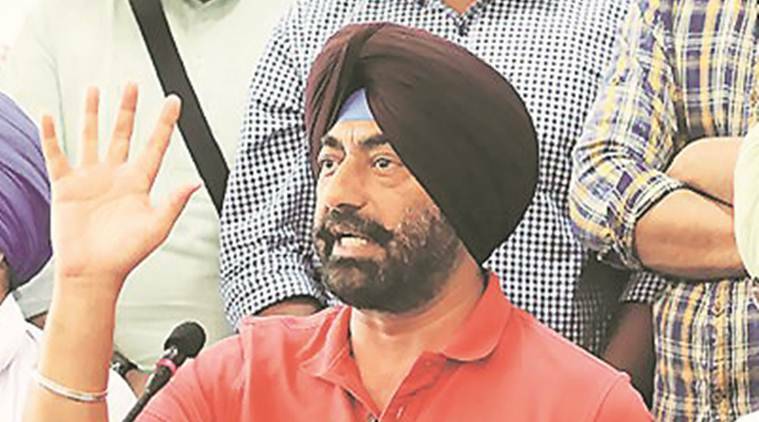 Sample this: At least two AAP lawmakers have given thumbs down to Baljinder Kaur, the party candidate from Bathinda Lok Sabha constituency and are instead actively campaigning for Khaira saying that he had better chances of winning there. The assembly segments that Jagdev Singh Kamalu (Maur) and Nazar Singh Manshahia (Mansa) represent form part of the Bathinda parliamentary constituency. Kamalu and Manshahia are part of the group of rebel AAP legislators who had aligned with Khaira when he was removed as the Leader of Opposition in July 2018. While these two MLAs are still part of AAP, Khaira resigned from the party and formed PRP. Another rebel, Baldev Singh, is contesting from Faridkot constituency after having resigned from the party but not the assembly seat of Jaitu from where he was elected. Speaking to The Indian Express, Kamalu said that the party workers on ground were in favour of Khaira and AAP has virtually “abandoned him” and other rebel MLAs. “We have not received any information from anyone in the party nor has anyone spoken to us on why we are supporting another candidate. The volunteers on the ground are more in favour of Khaira than Baljinder Kaur,” he said. The Maur MLA said that the response to Khaira was “very good” and that he had gone around the constituency with him. “I have neither been asked by the party to stop helping Khaira nor have I been asked to help the official candidate. Till today, ever since the dispute within the party took place, I have not received any phone call from (AAP convenor and Delhi Chief Minister) Arvind Kejriwal, (senior party leader) Manish Sisodia, Mann or the core committee chief, Budh Ram. Those who voted for AAP in the villages now say that we should work for Khaira,” he said. Kamalu said Mann has held several public meetings in his constituency over past few weeks but he was never called to any of those. “When my party does not even call me, then I will naturally go towards Khaira,” he said. Manshahia too said that he has not received any message from the AAP leadership for campaigning for party candidate Baljinder Kaur. “There is no communication from the party, either verbal or written,” he said. Asked about the winning chances of the AAP candidate in the forthcoming polls, Manshahia said, “Baljinder Kaur stands nowhere. There is still a craze for Khaira in villages and workers of the party are also with him. The average AAP worker is depressed because of the happenings within party (the split),” he said. Leader of Opposition Harpal Cheema, meanwhile, said that AAP would take appropriate action at the appropriate time. “We will take legal opinion in the matter once the candidates file their nomination papers from their respective parties. These things often end up in court therefore we want to to be on firm footing,” he said.